Standard Room features a spacious non a/c double room with en suite bathroom and a private balcony. Overhead ceiling fan, hot and cold running water. One-bedroom Apartment features spacious a/c double room with en suite bathroom, living, dining and kitchen facility. Overhead ceiling fan, hot and cold running water. TV, wifi, fridge, washing machine, iron and iron-board etc. Two-bedroom Apartment features spacious a/c double rooms with en suite bathroom, living, dining and kitchen facility. Overhead ceiling fan, hot and cold running water. TV, wifi, fridge, washing machine, iron and iron-board etc. Rest comfortably in our spacious accommodations. The luxury accommodations of Pearl Palace is contemporary and comfortable. Our Guestrooms feature a seating area with either a chaise or an oversized chair for relaxing after a busy day in Kochi. Ideal for families and large groups, our comfortable suites are perfect for those needing more room for work or play. There are 6 rooms in our homestay. Here, we have A/c & Non A/c rooms. We have rooms ranging from 2 beds & also we can provide extra beds for more occupancy. For the convenience of backpackers and solo female travelers, guests can now book dorm beds on a per bed basis. The rate is for a single bed in a Deluxe 6-bed shared mixed dormitory with tiled flooring and 300 sq feet in size. The decor includes six very comfortable bunker beds. The room is also maintained with an air conditioner, personal lockers and an en-suite bathroom. 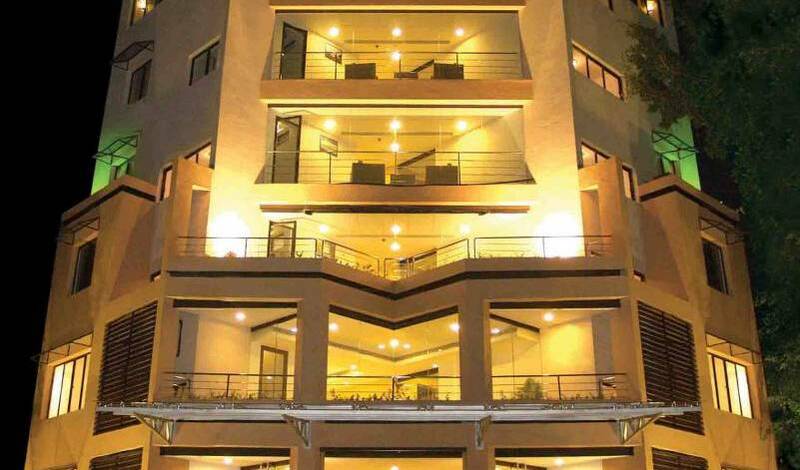 Thus, our guests can book upto 6 single dorm beds. For the convenience of backpackers and solo travelers, guests can now book dorm beds on a per bed basis. The rate is for a single bed in a Deluxe 6-bed shared mixed dormitory with tiled flooring and 300 sq feet in size. The decor includes six very comfortable bunker beds. The room is also maintained with an air conditioner, personal lockers and an en-suite bathroom. We have 4 such 6-bed mixed dormitories. 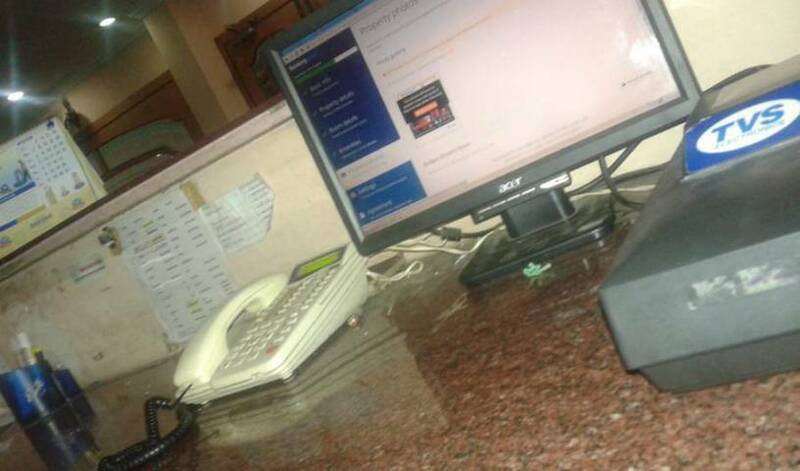 Thus, our guests can book upto 18 single dorm beds. This is a double occupancy room. Well air-conditioned and maintained with an en-suite bathroom, the room also has a coffee table and personal lockers. The rate is for the entire room. Ac double room with private enusite, free WIFI access, Digital Satellite TV, Soap, Bath Towels, Cold and hot water shower and European WC. Well furnished highly hygienic clean, large spacious, luxurious bedrooms with attached en-suite Western-style toilets. We offer you luxuriously ---- fully furnished Bedroom Suites for your convenience. 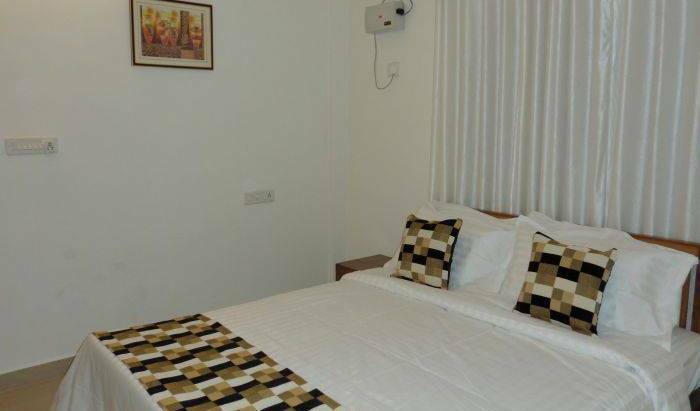 Well furnished highly hygienic clean, large spacious, luxurious bedrooms with attached dress rooms having wardrobes and en-suite Western-style toilets ad AC fitted. Original hardwood floors and massive plunge tubs in en suite bathrooms make for a perfect blend of old world charm and modern day luxuries in the rooms. – Wake up and fall asleep to the sound of waves in a poolside villa and complete your sensory experience. Private beachside sit outs are steps away from the swimming pool and an ideal spot for putting your feet up. Family Suite Family Master Bed Room with Double Bed Enclosed Additional Bed Room with Twin Beds Optional A/C / Non A/C Attached European style Washroom Ideal for a 5 member family or group of friends. Surrounded with beautiful nature and river, All guest rooms built in traditional Kerala architecture with a good view to the flowing river. Each accommodation provides a double bed, an en-suite bathroom with a shower, A/C or fan, and a terrace to relax. Wifi is available all over, although the signal strength may vary depending on the exact spot and internet availability. This is another bed room with a queens bed. Room is Air conditioned. There is a sitting area and a big open balcony from where guests can enjoy the river view. Deluxe Villa - Serene surroundings with simplicity as the main focus, it makes you surrender to the warmth of the place. A Deluxe Villa has all the basic requirements of an Air-conditioner, Television, Telephone, Bathtub and Hot & Cold Water alongwith basic bathroom requirements. It truly satisfies all the requirements of a peaceful and rejuvenating experience. Harivihar Ayurveda resort offers its guests the unparalleled experience of staying in a heritage ambience and benefit from the goodness of Ayurveda and Yoga, two great contributions of India to mankind. Illam Its called Namboothiri houses were built invariably according to the canons of Vaasthusaasthram (Vaasthuvidya priciples, the science and art - architecture - of building in harmony with the eternally active, creative, and all pervasive 'Spirit' and 'Nature') and in conformity and proportion with the usually large compound or plot (Illapparambu). In the early days, they were all built in the form of Chathussaalas or Naalukettus (quadrangle or the ancient courtyards) . NALUKETTU is the traditional homestead of old Tharavadu where many generations of a matrilineal family lived. 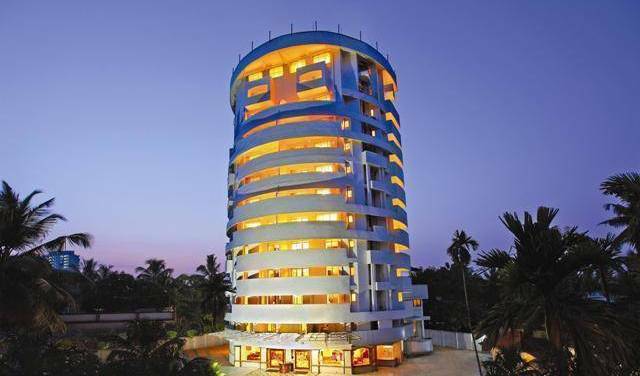 These types of buildings are typically found in Kerala. The traditional architecture is typically a rectangular structure where four halls are joined together with a central courtyard open to the sky. The four halls on the sides are named Vadakkini (northern block), Padinjattini (western block), Kizhakkini (eastern block) and Thekkini (southern block). The architecture was especially catered to large families of the traditional tharavadu, to live under one roof and enjoy the commonly owned facilities of the marumakkathayam homestead. Malikappura Built in the 1980s and we reconstructed in the year 2012 . Malikappura is an example of traditional Kerala architecture, with its typical sloping roofs, overhanging eaves and pillared verandahs . Intricate carvings adorn the wooden ceilings, with each room having a distinctive pattern. The construction of the Malikappuara was completed by 30 Vishwabrahmins in 05 years. This architecture is made from teakwood and rosewood, The roof of the malikappura is made of wood and 14 beams support the patterns. The roof is supported by Wooden pillars. KOVILAKAM Rich with culture and built along the lines of Kerala "Thachu Shasthram"- the ancient rules and rites of carpentry, stands Kovilakam, a unique piece of Kerala architecture, Lined with intricate and perfectly carved woodwork. This architecture has been influenced by Dravidian and Indian Vedic architectural science (Vastu Shastra) over two millennium. The most distinctive visual form of Kerala architecture is the long, steep sloping roof built to protect the house’s walls and to withstand the heavy monsoon, normally laid with tiles or thatched labyrinth of palm leaves, supported on a roof frame made of hard wood and timber. Structurally the roof frame was supported on the pillars on walls erected on a plinth raised from the ground for protection against dampness and insects in the tropical climate. Often the walls were also of timbers abundantly available in Kerala. Gable windows were evolved at the two ends to provide attic ventilation when ceiling was incorporated for the room spaces. Wayanad stay is a B&B in the midst of coffee& spice plantation. stay and experience the real village home. Wayanad tour and stay is a group of homestays in wayanad. 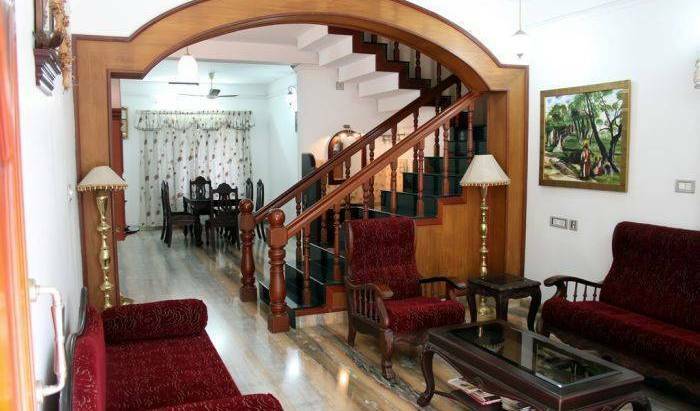 These are an exclusive home for the tourists to Wayanad, which offers superlative facilities to the visitors. Paradise situated within paradise is not an understatement, here the magic of tranquility, many look for and never find is right here in abundance From the pure silken beaches to the womb like temperature of the Ocean. Kudajadri Drizzle Homestay, 95 year old jain Tharavadu on the heights of greenary provides complete family service. Here everyone can enjoy traditional, delicious jain food. Hiliya Resort is the best farm resort in Wayanad with accommodation in heritage bungalow, cottage and forest view deluxe double bedrooms surrounded by acres of organic farm with spices, fruit trees and livestock on a river bank across a tropical forest. 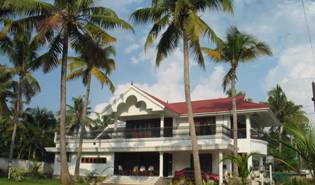 Ocean Hues, An Exclusive, Romantic Seaside Getaway in Kerala - a picturesque, cozy, cottage, facing the sea, located in Kannur, a coastal town in the northern part of Kerala'. Kanan Beach Resort is ready to welcome you to a comfortable place where an Indian team will lavish on their guests their traditional art of entertaining... with a French touch!